Shitbox Rally 2018 launched off the starting line in Brisbane, Australia today for a 2,000 mile drive from Australia’s east coast, to Darwin at the very top end of Australia. The pace will be fast because teams need to be in Darwin in only six days! It’s not a race, but teams can be awarded for fundraising and general sportsmanship. Most enter this rally for fun, adventure and fund raising activities. The course crosses some of Australia’s most remote territory and sends the aged cars over some tough outback country. Each entry must be less than $1,000 in value, a real shitbox in other words. 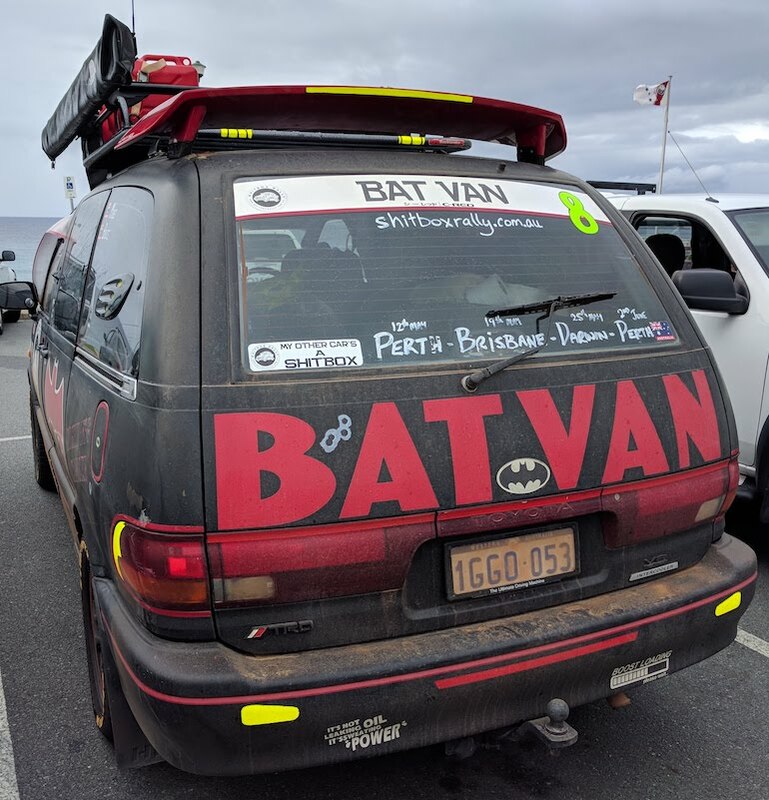 HotRidesUSA.com caught one of the entrants, Batvan, on its way to the start. 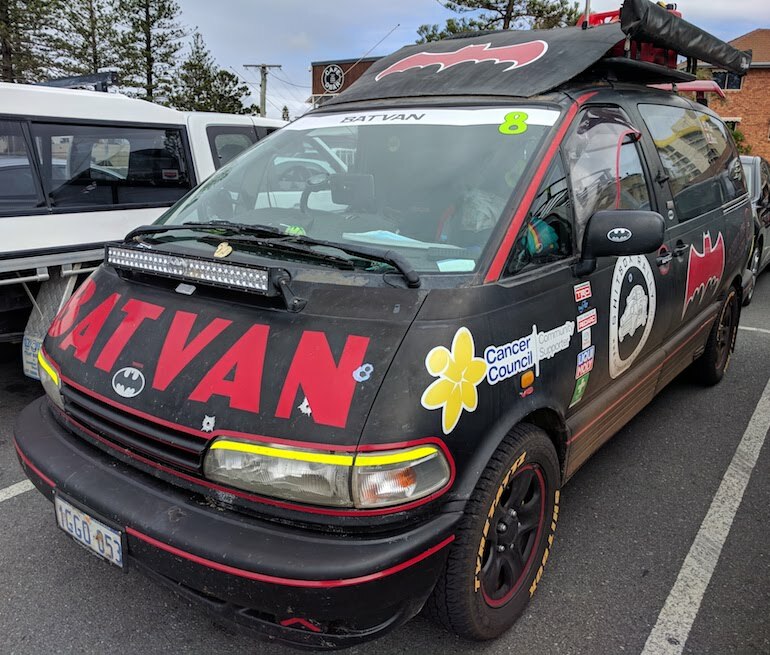 We wish team Batvan and all the other shitbox drivers much luck and fundraising for this valuable cause.